Katina sings the role of Edronica, princess of Athens in a fully staged production of Telemann's 1721 comic opera. Katina participates as a recipient of scholarships from the San Francisco Early Music Society and the Historical Harp Society. Thornton Baroque Sinfonia presents a semi-staged production of Cavalli's classic opera featuring heroes behaving badly. A unique concert in a subterranean parking garage, featuring a program of sacred and secular music ranging from Renaissance pieces to newly-composed works. Katina Mitchell sings and plays harp as a featured soloist and also premieres a new piece by composer Grant Gordin. 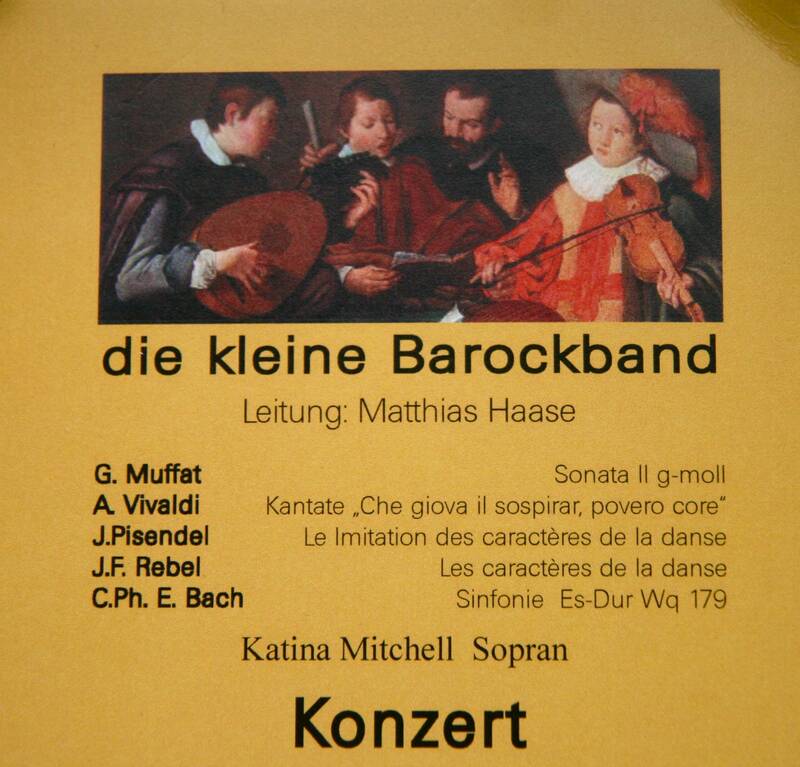 Music of Mozart, Handel, Schubert and more. 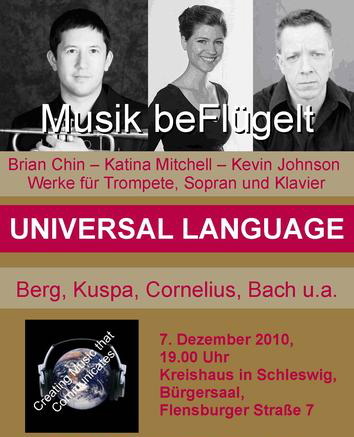 Musik of Bach, Kuspa, Berg.